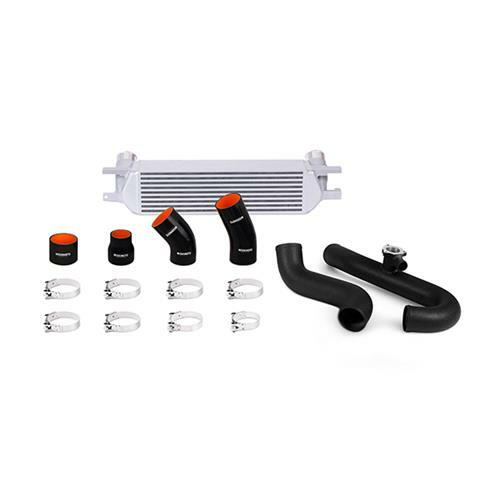 Create more power with the 2015-2019 Mustang EcoBoost Mishimoto intercooler kit! Improve the performance of your 2.3L EcoBoost Mustang by replacing the intercooler with the larger Mishimoto intercooler kit. 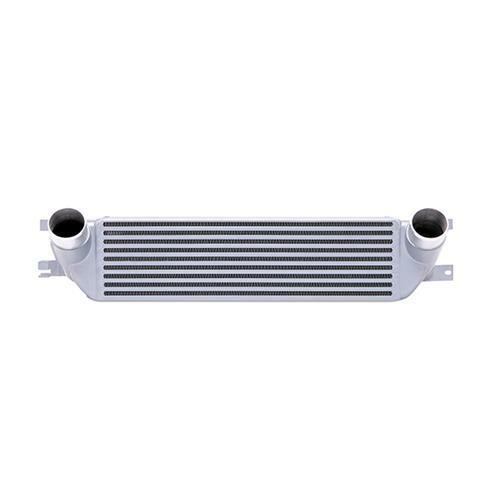 The stock intercooler is good for individuals leaving their EcoBoost stock, but there are many places that the stock intercooler can be improved. Decreasing the intake air temp will improve performance by creating a more dense air charge. Denser and colder air will improve the performance by allowing the engine to produce more horse power and torque. 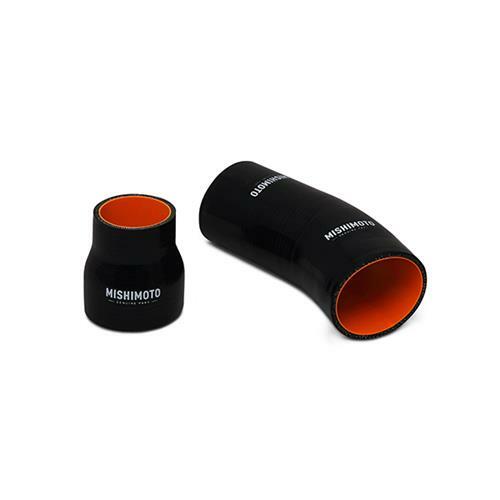 Mishimoto increases the intercooler core size by 58% to help decrease the air charge temperature created by the turbo. This increased core size translates into a 25% increase in internal core volume and 165% increase in external fin surface area over the stock unit! This increase in size allows up to a 35 degree reduction in air intake temperature. 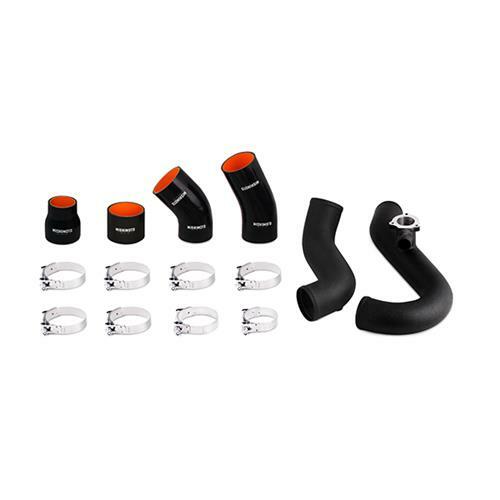 This intercooler kit features a slick silver finish, with wrinkle black aluminum pipes. All piping is mandrel-bent to eliminate restrictive bends and improve air flow. The hot side pipe incorporates a CNC machined bypass valve flange that will accept stock or stock style blow off valves. 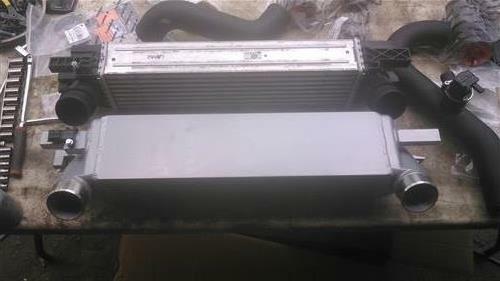 - Intercooler Overall Size - 30.3" X 6.8" X 5.28"
- Intercooler Core Size - 21.06" X 5.75" X 5.28"
- Intercooler Inlet - 2.56"
- Intercooler Outlet - 2.56"
- Hot Side Pipe Diameter - 2.5"
- Cold Side Pipe Diameter - 2.75"